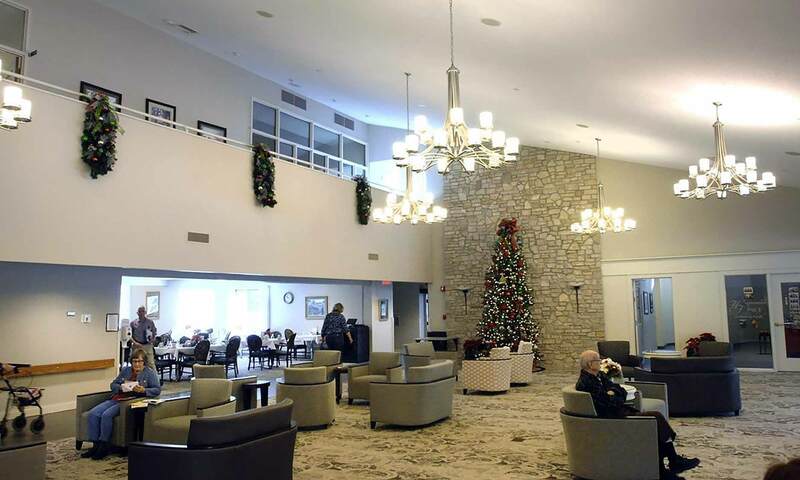 BLOOMINGTON — A longtime Bloomington continuing care retirement community is planning a three-phase expansion and renovation project that could total $70 million. Renovate and expand its Martin Health Center skilled care building, construct a new Westminster Village entrance and renovate and expand Westminster's common areas in phase one. Construct a new assisted living and memory care space in phase two. Rebuild the existing assisted living space into independent living units and possibly build additional independent living buildings in phase three. Add a second entrance to Westminster from Mercer Avenue. "If the full master plan is enacted, it could be $70 million," Westminster CEO Barb Nathan said Monday. The soonest the project would be completed would be December 2019. Westminster, which has 210 full- and part-time employees and 350 residents campus-wide, would add 20 employees in phase one alone, Nathan said. Staffing estimates for phases two and three have not been made yet. "We are grateful to those who planned Westminster at this incredible location" that allows room for growth, Nathan said of the 44 acres bordered by Lincoln Street to the north, Mercer Avenue to the west and Veterans Parkway to the south and east. "Westminster has been conservative and has positioned itself for this expansion," she said. "The growth has been well planned and will be phased-in." "People (residents) are overwhelmingly happy with the new plans," said Carolyn Johnston, president of the Westminster Village Residents' Council and a resident of the community's Willows independent living townhouses. The second floor of the atrium at Westminster Village will be renovated into a larger wellness center during the first phase of Westminster's three-phase expansion and renovation project. Westminster Village, which opened in 1979, consists of 176 independent living apartments, 22 independent living townhouses, 52 assisted living apartments and 78 skilled care (nursing home) beds at Martin Health Center. "We have a waiting list of 307 people," Nathan said. Martin Health Center consists of 76 semi-private rooms and two private rooms. But more residents want private rooms. Westminster has had situations where people need to move from independent living or assisted living to skilled care, but they want a private room so they move to another facility, Nathan said. "We have great facilities in this community, but moving is a hardship for our residents," she said. Westminster plans to renovate and build an addition onto Martin Health Center to increase its capacity to 96 beds, which will translate to 80 private rooms and eight semi-private rooms. "People were happy to hear of the plans for Martin Health Center," Johnston said. Westminster has filed a certificate of need with the state, requesting permission to increase its skilled nursing capacity by 18 beds. Phase one — which will cost $33 million — also would consist of a new entrance to Westminster Village and renovating and expanding common areas, meaning several dining options, a larger wellness area and more space for a library, medical clinic, art studio, beauty shop and meeting rooms. "People like the idea that wellness will be expanded and that all services will be together," Johnston said. Phase two would be constructing a new assisted living building — with 60 assisted living units and 12 memory care units — in front of the current entrance to Westminster. The new building would be closer to common areas and to Martin Health Center than the existing assisted living building, Nathan said. Phase three would be renovating the existing assisted living building to 40 independent living units. Additional independent living buildings could be added later to the southwest side of Westminster's property. Ten percent of the money needed would come from Westminster reserves and the balance would be financed, Nathan said.